A part of the attraction destination is the cultural tourist attraction that encompasses cultural villages. Bogor Regency has a cultural village that has a variety of Sundanese arts and culture, history and Sundanese beliefs and customs, a natural rural place and has a place to stay or lodging to give a natural impression for tourists who visit. This research was conducted to determine whether tourist attractions affect visitor satisfaction in the Sindang Barang Cultural Village. The purpose of this study was to investigate how much influence the tourist attraction on visitor satisfaction in the Sindang Barang Cultural Village. The Method of research used is quantitative methods in order to obtain more comprehensive, valid, reliable, and objective data. The samples were 107 visitors who came to Sindang Barang Cultural Village. Analysis used descriptive statistical methods, simple correlation coefficient of Pearson, Coefficient of determination and regression analysis. The result showed that tourist attraction had a positive influence of 70% and there is a significant effect between Tourist Attraction toward Visitor Satisfaction in Sindang Barang Cultural Village. SIMANIHURUK, Maidar; MUMIN, Adhi Trirachmadi; WULAN, Saptarining. The Effect of Tourist Attraction Toward Visitor Satisfaction in Sindang Barang Cultural Village, Bogor Regency. 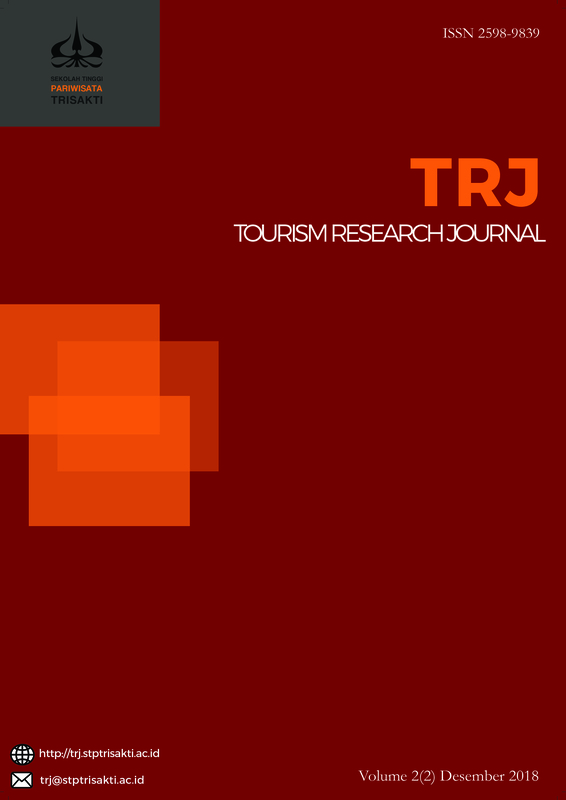 TRJ Tourism Research Journal, [S.l. ], v. 2, n. 2, p. 33 - 44, dec. 2018. ISSN 2598-9839. Available at: <http://trj.stptrisakti.ac.id/index.php/trj/article/view/40>. Date accessed: 19 apr. 2019. doi: https://doi.org/10.30647/trj.v2i2.40.